Highly recommended relationship breakthrough books that won't break the bank! Do you, like us, love personal development? Have you spent hours and hours in the self help section of your favourite bookstore, or library just looking for something that could help you break through? There are so many great looking titles to choose from aren't there? Perhaps too many. Im not kidding there are literally thousands of books in this field now! Authors from all over the globe too. Who do you pick to walk the next few steps with? Anthony reviews some of his favourites for you to help you decide. Are you the kind of person who will read something and if it makes sense to you, will want to put the principles into practice? The books recommended below are ones that have the greatest impact for us. Ones where we absolutely recommend putting learning into practice. These are relationship breakthrough books that will transform not only your relationship, but your career, your finances, your health. Health, Wealth, and Relationships, the route to your life's fulfilment. Some people say knowledge is power, but they are missing the point. Knowledge alone isnt power. First of you have to have a reason for seeking knowledge, your "why"
Otherwise what will you do with the knowledge once you have it? Massive Action, based on correct knowledge is power. If you are reading relationship breakthrough books looking for answers you might fall into the same trap you've been in time and again. Your seeking merely to understand, not transform. If you go and buy the "A Course In Miracles" for example and just try and read it to gain information you will get nowhere. You are directed to take action, even if only in your thought's. If you change your thoughts you can change your behaviour which will change your life. If you would like to experience this, try our Six Steps To Relationship Success Course, where you will get a series of emails with guided step by step guidance to your personal breakthrough. Its free! We are always happy to connect with new relationship specialist authors, so if you would like to us to promote your book here, please send us a copy and a couple of paragraph's why this book will be attractive to our visitors. Use the Contact Us form to get in touch now. "The Seven Habits of Highly Effective People" has been a massive inspiration and learning for me. Its still on my shelf and very dog eared from repeated readings. It is so sad to hear of the passing of it's author Steven Covey, who died, aged 79 years. Thank you so much for being such an inspiration in the lives of many. R.I.P. Inspiration and life guide. 1932-2012. What has to happen above all else for you to know that you are deeply loved? In The Five Love Languages, Gary Chapman shows us the five key ways that people both give love and receive love. What comes as no surprise is that we all have a different "language" for giving and receiving. They are all great arent they? But which one is most important to you? I listened to author John Gray being interviewed by Anthony Robbins once and I was captivated by the energy of this man. He clearly loves his subject and has plenty of experience to back up his story. The metaphor of men being from Mars and women from Venus is a beautiful way of accepting the difference. Don't get into a relationship thinking you will change the other person. They might get a passport to your world but they will always have their own blood! Great read, very enlightennig and highly recommended! The lessons in this book are truly revelations. It doesn't interest me how many relationship books you have read. What interests me is how you apply the lessons you learn to grow and connect with you partner each day. 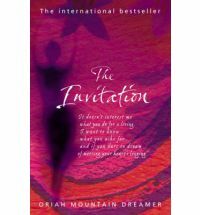 Oriah Mountain Dreamer shares with us a beautiful poem, "The Invitation" and then breaks each section down to show the source of her pains and inspirations throughout her life. This is a beautiful read, and shows us that even in the face of fear, abuse, loss, and defeat, there is beauty deep within us and a yearning for deep connection with others. This book transformed my thinking about wealth and what wealth really means. Wealth isnt about your possessions, your car, your clothes, or even your home. Of course these can be significantly affected by your wealth and representative of it, in financial terms. The chapter about assets and liabilities alone is a wake up call, and especially if you are stuck in a divorce battle trying to resolve your finances. Highly recommended. Guys, if you are a new father, or expecting to be soon, this book is essential reading. Never mind the fear that turning your life upside down by introducing a newborn into your relationship. This book will ease away all doubt that you are about to embark on a magical journey. This is not only one of the best relationship books I have ever read, it would count as one of my favourite personal development books too. 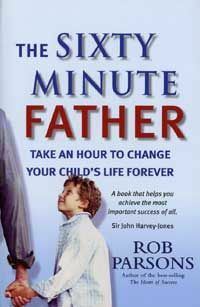 The Sixty Minute Father is easy to read and will have you laughing out loud, and crying in equal quantity. And the beauty is, you might even complete it in 60 minutes too! Get this, and get it for anyone else you know who is about to become dad! Really? 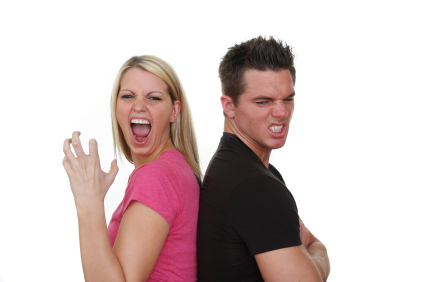 How can this be included in a page on our top ten Relationship Books? Well, lets just say riches and wealth aren't only measured in your bank account. There is so much simplicity to this book yet the depth within each of its pages is phenomenal. One of the all time best personal development books and top selling internationally to boot! I could say so much about this book, so the short space available here would not do it justice. The principles presented are timeless and simple. The principles of success are simple. Just not so easy to apply, when you have a million and one distractions in the way. Applying the principles of Think and Grow Rich in your relationship will be challenging. The results you will achieve however will be worth it. Get this book, if not the rest. Keep it. Read it over and over as and when you want a boost! Not yet convinced?